If you installed Firebird ADO.NET provider 6.3.0.0 and EntityFramework.Firebird from nuget you also need to add the DDEX provider for Firebird into Visual Studio 2017 following these steps. NHibernate 4.0.1 General Availability is now available for download from Sourceforge and Nuget. This includes fixes for regressions in NH 4.0.0, and some fixes for mapping-by-code and Firebird issues. This post will show an example of using an embedded firebird database in .NET/C# projects. 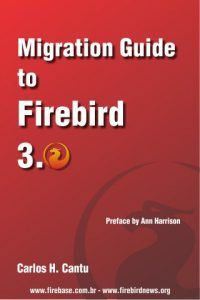 You can find info about conference at firebird-conference.com. I’ll be speaking there too, hence if you’re interested in Firebird and .NET you should definitely come. Every day I have one session. I’ll be covering new (2.5+) protocol implementation in .NET client for Firebird 2.1, Entity Framework support (also new in 2.5) and finally you’ll see how to create Windows phone (formely PocketPC, …) application and accessing Firebird database. Yesterday, while doing Entity Framework training, I got a good question. LINQ to SQL has a nice event called OnValidate, where you can validate your data. But Entity Framework classes don’t. As the only one good point to do the validation of entities in Entity Framework is during in SaveChanges in SavingChanges event, we have to utilize this event and build validation there. You may wonder how to use usefull coalesce operator in Firebird Entity Framework.